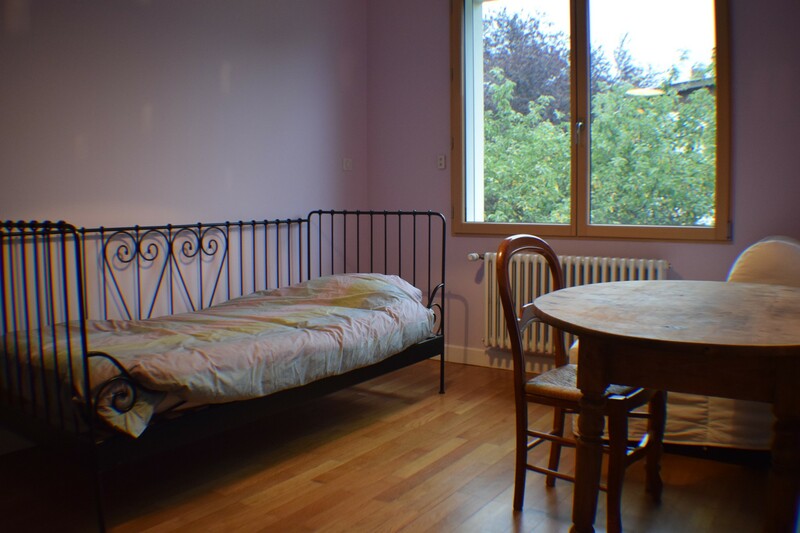 French family of 4 with two young boys - 3 and 6 years old - and a cat proposes a furnished room (12m2) with half board and free internet access, only to a native english speaking erasmus student. We live in a big house with a garden in a lovely village called Biviers, 10mn away from the campus by car 30mn by bus or bike (opportunity to lend one). Mum works on the campus, so drives there by car when raining or freezing. 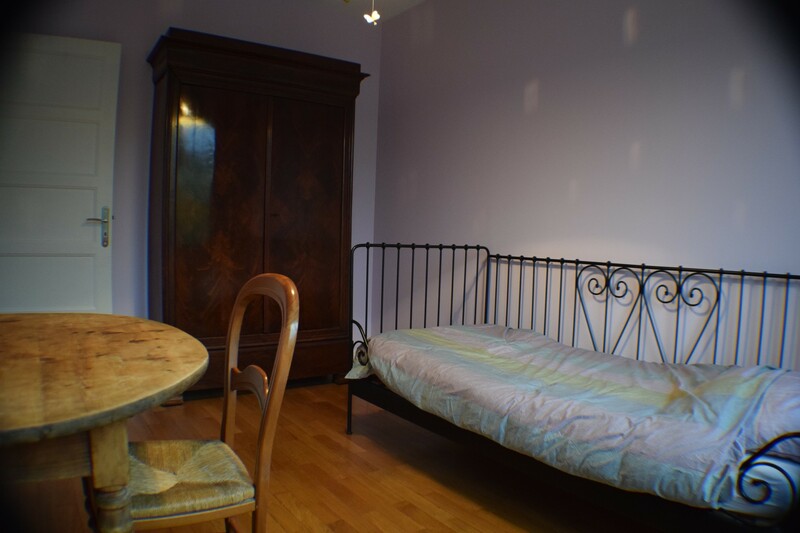 You will share the bathroom with kids, breakfast and diner with family and will also have access to fully equipped kitchen with washing machine in the basement. A housekeeper cleans the entire house once per week, including your room. We will do our best to make you feel at home, we expect someone serious and respectful, wanting to share a french living family experience, loving children, cat and nature.